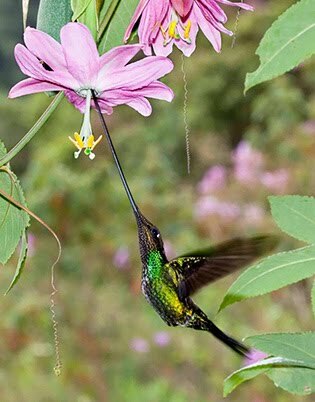 Here is a recent shot from Michael Fogden of a rare Sword-billed Hummingbird. Michael took the shot after standing patiently for 7 hours, Patricia Fogden was on hand to signal when the bird was approaching. Its of course one thing to be dedicated but to match that dedication with superb ability makes Micheal an exceptional photographer.